Indians the world over celebrated Diwali this Thursday, as did U.S. President Barack Obama. Many Indians celebrated the festival of Diwali this Thursday. Diwali is the largest festival in India, celebrated throughout the country by most of its religions. Diwali originated in popular Hinduism and commemorates the return of the incarnate god Rama to his home of Ayodhya after an exile of 14 years, during which he defeated the demon Ravana. The story of these events can be found in the popular epic, The Ramayana. Other regional tales in India associate Diwali with events of the life of the incarnate god Krishna. All in all, Diwali celebrates the triumph of light over darkness, and good over evil. Diwali is also important in Jainism and Sikhism. Jains believe that the teacher of their religion in this era, Mahavira, attained nirvana on Diwali. Sikhs believe that their sixth Guru freed himself and various Hindu kings from a Mughal prison and arrived at the Golden Temple (the most sacred Sikh temple) on Diwali. Diwali is also celebrated by Christians and Muslims in India (and by some globally) for its moral message and by many Buddhists in Southeast Asian countries due to its association with the highly popular Ramayana. Finally, Diwali also coincides with the new years in many regional South Asian calendars. This confluence of many factors makes Diwali the largest festival celebrated by Indians, both inside and outside of India. Just as Christmas emerged over time in the West as the biggest holiday from a sea of local feast days and saints days that covered most of the calendar, so too has Diwali emerged as the largest, dominant Indian festival in a culture where literally every day is some festival or another. Although Diwali has always been a large festival celebrated throughout India, it is only in the last two decades that Diwali has become such a big festival, due to the impact of commercialism and modernism. While there is definitely an unwanted element of crass consumerism in modern Diwali, it helps to have a large festival that individuals can celebrate and focus on, giving people a day to come out and celebrate together. Urbanization and modernization have made it impossible and impractical for individuals to remember or celebrate every single festival as their ancestors might have in their villages, so the emergence of a large festival allows people to concentrate on celebrating at least one festival in style. During Diwali, sweets are distributed and lamps lit, creating a very festive and bright atmosphere. Diwali also enables non-Indians to focus on and recognize Indians throughout the world on a specific day. 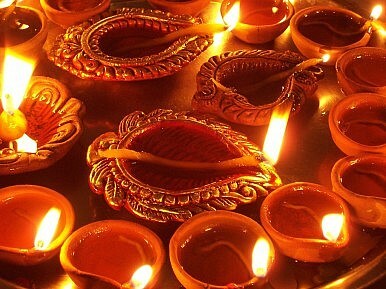 Although presidents and prime ministers around the world have been congratulating Christians and Muslims and holding Christmas and Eid al-Adha functions for many years, it was only recently that the emergence of Diwali as the major Indian celebration has allowed for a similar focus on a day for Hindus, Jains, and Sikhs. It was only in 2009 that a president of the United States, Barack Obama, began hosting Diwali celebrations in the White House. This year, President Obama continued the tradition of celebrating Diwali and released a video extending his warmest wishes for the festival. Indian Prime Minister Narendra Modi chose to celebrate Diwali with Indian soldiers at Siachen Glacier, a high glacier in Kashmir known as the world’s highest battlefield. Siachen Glacier is located at the border of India’s and Pakistan’s zones of control in Kashmir, near the Chinese border, and features a heavy Indian military presence. Modi thanked India’s soldiers for enabling everyone else in India the opportunity to spend a joyful Diwali, and promised major reforms after Diwali. Numerous other public figures and individuals celebrated Diwali in their own ways. Readers can see some pictures of Diwali celebrations here and here. Should the subcontinent be referred to South Asia or India, especially in the historical sense?